The government expects a cut of your Uber or Lyft earnings. Fortunately, there are a number of tax deductions you can take advantage of to reduce how much you owe. Driving for Uber or Lyft is a great way to earn some extra cash, but it's important to realize that because you're considered an independent contractor, no income taxes are withheld from your earnings. You must set this money aside on your own. You must also pay the full Social Security and Medicare tax, which for most workers is split between them and their employer. It's not uncommon for all these taxes to amount to 30% or more of your income. Fortunately, you can reduce your taxable income in the eyes of the IRS by taking advantage of tax deductions. Here are a few common deductions that apply to Uber and Lyft drivers. 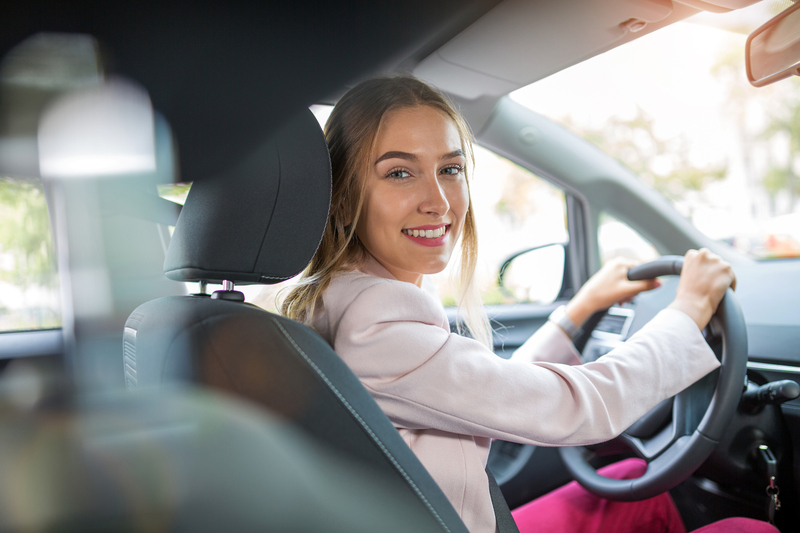 Your car is considered a business asset when you work as a rideshare driver, which means a portion of any costs associated with it are tax-deductible. This includes your car payment, auto insurance, and licensing, title, and registration fees. You can also deduct the cost of depreciation, vehicle maintenance and repairs, and even car washes. The catch is, you can only write off a proportion of these expenses that reflects how much you use your vehicle for ridesharing. For example, if about 25% of the miles you drive are for Uber or Lyft, then you could write off 25% of the above expenses. The other 75% wouldn't qualify for a tax deduction because you aren't using your car for work during this time. You can also write off the cost of gas, and the amount you can write off will depend on how much of that gas is used for ridesharing. On a given day, that may only be a fraction of the total cost, or it may be the entire thing. It's important to maintain detailed records of all the vehicle-related expenses you intend to write off and keep receipts for all of your expenses. Log the amount of miles you drive while working as well as the miles you drive period. Divide the number of ridesharing miles by your total miles to figure out the exact percentage you're using your car for work. Chances are, you won't ever have to prove this to the IRS, but if you’re audited, the government may disallow any tax deductions you've claimed if you don't have the paperwork to back them up. By keeping records of all work-related costs and how much you used your vehicle for work, you'll be able to prove your deductions were legitimate. The mileage deduction enables you to write off a set dollar amount for every mile that you drive for business purposes. For the 2018 tax year, you may write off $0.545 for every mile you drove as an Uber or Lyft driver. For 2019, that amount increases to $0.58 per mile. The Uber and Lyft apps should track your on-the-job miles so you don’t have to; you can view this information in your online account. That said, it wouldn't hurt to keep an eye on your odometer and log how many miles you drive for Uber or Lyft each day so that you have your own record in case you need it. You can also write off the costs of any tolls or parking fees you incur while working as an Uber or Lyft driver, but once again, it has to be for a business expense. If you drive through a toll on your own time, the cost isn't considered tax-deductible. Keep records of all the tolls you drive through and any parking receipts, and add them to your collection of business receipts. If you stock your car with food, drinks, or other amenities for your passengers, these are also considered tax-deductible, so long as you're not consuming them yourself. Once again, you'll need receipts to prove what you've spent, so don't throw them away on your way out of the store. Uber and Lyft make money by taking commissions on every ride. The 1099 the companies provide you with if you earn more than $600 as a rideshare driver will reflect the amount that Uber or Lyft received for your rides. It's up to you to deduct the costs of the companies' commissions and fees. After all, you shouldn't be taxed on money you didn't actually earn. You can view how much Uber or Lyft has taken in fees in your online account. Make a note of this number and deduct it come tax time. Smartphones are a requirement for working for Uber or Lyft, so you can deduct the cost of a new smartphone, as well as your monthly cellphone bill. But once again, you can only deduct the portion of these costs that reflect how much you use your phone for business purposes. Your cellphone provider should provide you with an itemized cellphone bill in your online account where you can see exactly how many calls and texts you made and how much data you used at a given time. Match this against your records of when you were working to determine which cellphone expenses are work-related. Then divide these by your total cellphone usage to determine what percentage of your cellphone bill is tax-deductible. If you choose to have a dedicated cellphone for your ridesharing work, you'll be able to write off your total bill. By taking advantage of these deductions, you should be able to reduce your taxable income from your ridesharing side hustle significantly. But that doesn't mean you won't have to pay anything at all. You still need to set aside money every month to go toward your taxes, and you may be required to file quarterly estimated income taxes if ridesharing is a substantial source of income for you. But you won't have to worry about deductions until you file your tax return the following year. Then, if the estimated taxes you've paid are higher than what you actually owe, you'll receive a refund.